It is hard to believe that we are at the end of our school year! The students are working hard on their last assessments and work to finish off the year successfully. June is a busy month with a last push of learning but also a time to celebrate our successes. Report cards will be mailed home to parents during the last week of June after school is over. It will include information for next year, such as the calendar, school supplies list and school fees. If there are any issues with your child’s report card, please contact the school. If you are planning to volunteer for your child’s end of year activities, please be sure to have an updated police check on file. You can contact the school should you need help. I want to extend a huge thank you to Tina Eckerlin and the Wakefield Brownies for the wonderful work they did in May. They worked very hard to plant saplings and bushes in various areas around the school yard, especially in our new area. It was a lot of hard work and it makes the yard look wonderful- thank you! And some exciting news: our grant was approved and we will be getting a new play structure this fall! We are hoping that it is installed over the summer and ready to go when school starts in September. It will be located in the new upper playground area. Thanks again to our Playground Committee and fundraising efforts from years’ past that supported this project as well. Also some news that our water has finally passed the required testing and we are able to use the water fountains throughout the school. Lastly, we would like to extend a huge thank you to all of the parents who volunteer throughout the school year with a variety of events. Thanks also to Wakefield Elementary Home and School Association for their ongoing support this year and for all of their time and effort. From field trips, working in the library, to head checks and serving pizza hot lunches, we all appreciate the time and energy and effort that you contribute to making Wakefield School a wonderful place. We need parents to be our partners at school, and we are grateful to have your support. On behalf of the staff of Wakefield School, we wish you a happy, safe and fun summer with your family! TRACK AND FIELD A team of students visited Philemon Wright to attend Track and Field on Friday, June 1st. TALENT SHOW Our talent show also took place on Friday, June 1st at 7pm. The kids did an amazing job! Thank you to everyone involved in organizing this fun event! MUSIC WORKSHOPS On June 1st, 5th, 6th and 8th Cycle 1 classes are being hosted by Heather Horak and Fairbairn House. Students will learn about different instruments and then do a fun, hands-on activity. Thanks to Fairbairn House for having us participate in this event. GOVERNING BOARD The last Governing Board meeting for this school year takes place on Monday, June 4th at 5pm in the library. K5-FAIRBAIRN HOUSE On June 4th and 5th our K5 classes, along with Mr. Earwaker, will be visiting Fairbairn House. GRADE 4 VISIT This winter, the Grade 4 classes took part in a month wide study on the 2018 Paralympics games and many of our Canadian athletes. We are proud to say that one of the Paralympians, Alexis Guimond, will be visiting us on June 5th to speak to the students about Perseverance and Excellence. We are happy to welcome him at Wakefield School. GRADE 1-MS. BADGER On June 6th Ms. Badger’s class will be working on environmental studies with Mr. Earwaker. HOME AND SCHOOL Home and School will meet in the library on June 6th at 7pm. CYCLE 2-ST. BRIGID’S On June 8th, all Cycle 2 classes will be spending the day at St. Brigid’s Camp. 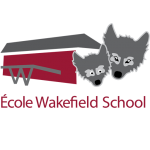 GRADE 1- MADAME DOUCET On June 11th Madame Doucet’s class will be working with Mr.Earwaker. CYCLE 3 TRIPS On June 12th our Grade 5 classes will be spending the day at the Cascades Club. Also on June 12th, Ms. Luskey’s class has an overnight trip planned to McGlashan Lake. Madame Serre’s class will visit McGlashan Lake for their overnight trip on June 14th. K5 FIELD TRIP On June 14th our K5 classes have a trip planned to the Museum of Nature. CRAZY HAIR DAY June 14th is crazy hair day! There will be an assembly in the afternoon. WAX MUSEUM DISPLAY Parents of students in Madame Karine’s and Ms. Bardell’s homerooms are invited to the “Wax Museum” presentations taking place in the library on June 14th and 15th. YEAR END ASSEMBLY Our year end assembly takes place on June 20th. The K4 graduation will take place in the gym at 10am. The awards presentation will begin at 1pm followed by the Grade 6 graduation. GRADE 6-MONT CASCADES Our graduating Grade 6 classes will spend the day at Mont Cascades on June 21st followed by a sleepover at the school. LAST DAY! June 22nd is the last day of school! There will be summer carnival activities in the morning for all classes. Report cards will be mailed home during the last week of June.